Millions of needy Americans are already using their free government cell phones, but millions of others who don’t qualify are looking for better deals on cell phones. If you’re one of them, you need to know about Republic Wireless. Republic’s phones are wifi-based, with Sprint’s cellular network as a backup when wifi isn’t available. The phones use wifi for web surfing and emailing, of course, but also for phone calls when in a wifi area. Republic Wireless calls its technology “Hybrid Calling” and it gives you full cellular capabilities and also lets you tap into the internet. Admittedly, Republic might not be for you if you need a free government cell phone. But it’s still a remarkable bargain for anyone who’s willing to pay a little more to get a lot more from a cell phone plan. Yes, you do have to pay something up front, but you get a lot for your money. 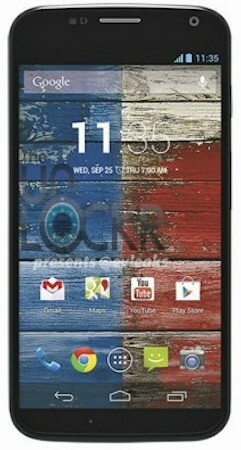 Republic charges a very reasonable $299 for an unlocked Moto X. That may sound like a lot, but it’s actually quite a bargain. We searched the internet and the cheapest ones we could find anywhere else cost between $550 and $600. And remember, unlike the refurbished cell phones offered in the free government cell phone programs, Republic offers smartphones. Brand new, state-of-the-art smartphones. In addition to offering a better phone than most of the free government cell phone plans, Republic also offers an assortment of monthly usage plans that offer a lot for your money. $5 a month – Believe it or not, for just $5 per month Republic will give you unlimited voice, unlimited text and unlimited data. This is one of Republic’s wifi-only plans, which means all your calls, all your texts, all your data must be accessed via wifi signals. That means, of course, that you can only make and receive phone calls where you can get a wifi signal, but that’s a small price to pay considering how much you get with this plan. $10 a month – This plan offers unlimited talk and texting via Republic’s cellular network, but offers unlimited data via wifi. In addition to these very affordable plans, Republic also offers richer plans that cost $25 a month and $40 a month. But those plans are so far beyond the scope of “free government cells” that we’ll leave it to you to find out more if you’re interested. Republic Wireless seems understand that $299 is a lot of money for most people. They “get it” and make doing business with them as easy as possible. For example, they give you 30 days to figure out if either of their plans is right for you. If you decide they’re not, just send back your smartphone within the first 30 days and Republic will give you your money back (less any postage costs, of course). But what happens, you may ask, if you decide you’re unhappy after 30 days? Republic has you covered there, too. Instead of tying you into a punitive long-term contract, Republic’s contract is, in effect, day-to-day. You can cancel any time you want and they won’t nail you with any early termination fees, you can cancel anytime you want. To repeat, cancel any time you want and pay ZERO cancellation fees. The primary thing to keep in mind is that Republic isn’t just a cell phone company that limits you to making phone calls. You can use their smartphone to browse the internet, and to send and receive emails and texts. Republic calls it Hybrid Calling technology. That means your Motorola Moto X smartphone automatically finds the nearest, strongest local wifi signal. And if it can’t find a wifi hotspot, it automatically jumps aboard Sprint’s national cell network. That’s the primary difference between Republic’s Motorola Moto X smartphone and the ones you might get from another company — there are wifi signals almost everywhere these days and Republic’s smartphone is pre-set to connect you to one of them. Automatically. Yes, that’s undoubtedly an overstatement. We don’t really know for sure if Republic is more honest than anyone else, but the company is so self-effacing that we want to give them the benefit of the doubt. That is a revolutionary statement in the world of cell phones. We review materials from every cell phone company in the English-speaking world and we can’t remember the last time we saw one of them claim to be anything but the biggest, best, latest and greatest. It just plain makes us want to believe in Republic. This is FreeGovernmentCellPhones.net and our focus is obviously “free” cell phone programs, but it cannot be disputed that Republic Wireless has come up with an outstanding, inexpensive alternative for anyone who doesn’t qualify for the free government cell phone program. When we look into our crystal ball, we foresee a day in the not too distant future when the Republic Wireless business model is adopted by other cell phone companies. So do yourself a favor. If you’re looking for a better cell phone plan at a better price, and you don’t qualify for the free government cell phone program, check out what Republic has to offer. If you’re looking for an inexpensive internet program and don’t qualify for any of the government-sponsored programs (like Internet Essentials or Internet Basics), check out what Republic Wireless has to offer. And if you do participate in the free government cell phone program, we look forward to the day when your financial situation improves so much that you contact Republic in search of an inexpensive cell phone because you no longer qualify for a free one. my wife and I are currently with Verizon, we’re in our 70’s, so not really young and smart. we both have cell phones but don’t attempt to do and WI-FI on them preferring WI-FI on home computer and/or tablet, do you have anything to offer us? Also Verizon charges us extra for anything over 5GB on our home Wi-Fi for laptop and tablet. Quick Update: MMS and short codes are available on Republic Wireless now. I’ve been using Republic Wireless for about a month and I couldn’t be happier. I am using the Moto X phone on the $10/month plan. Great phone and great service at a great price! If I have my own phone, can I still get a cheap plan?